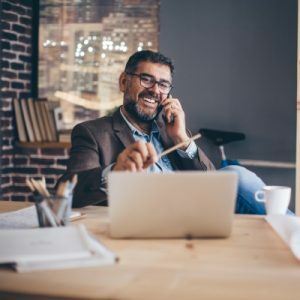 As a contractor or freelancer, it’s important that you find the right accountant for you – especially as, for many who are new to contracting, your accountant is likely to be your only professional adviser. That’s why you need an accountant who can help you avoid running into trouble with HM Revenue & Customs (HMRC), and one who will make sure you’re not paying the taxman more than you need to. An adviser who will not only assist with preparing your accounts, but one who will talk you through the accounting process and explain some of the technical risks and areas of exposure that you will face as a contractor, helping you to comply with legislation and increase your take home pay! which offers a monthly fee – one that is truly inclusive of all the regular compliance and advisory services you will require. Here, you’ll find out more about the key steps you can take to maximise your chances of finding the right accountant who meets your needs – whether you’re new to contracting, or you’re looking to find an accountant which better suits your individual requirements. So, you’re looking to start up as a contractor for the first time? Or you’re simply tired of your current accountant not delivering on their promises or failing to keep you informed of changes in legislation and opportunities to maximise your tax allowances? It is almost always advisable to hire an accountant before you start contracting. As a first time contractor, you’re not expected to know the best route to setting up your company, and whether or not you should be limited. 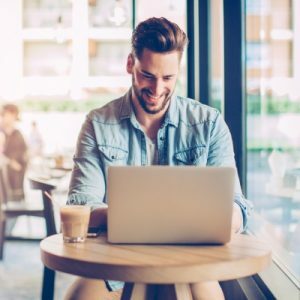 That’s why you should choose an accountant with substantial experience in dealing with new contractors – a professional adviser who recognises how confusing it all can be to set out on your own and one who will identify the issues that should be considered from the outset, so that you can truly enjoy the freedom of freelancing and contracting. A very common issue raised by all those new to contracting is “how long will it take to get my new company up and running?” Your accountant should not only be able to give you an idea on timescales, but also the order in which things are usually done. Not happy with your current accountant? 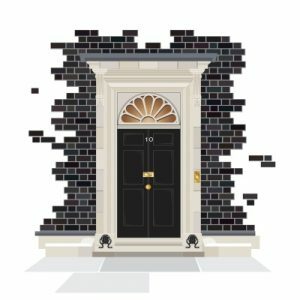 Time to move on, but it all seems too hard? If you choose the right accountant to move to, the process really should be hassle free and it shouldn’t disadvantage you in any way. Contractors who change accountants during the year, risk overlap or duplication of both work and fees. 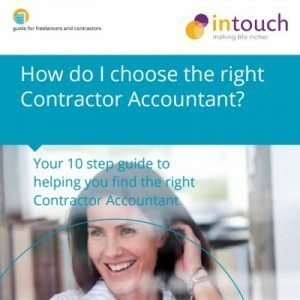 Make sure, therefore, that you choose a Contractor Accountant that offers you a discount on catch-up fees to bring matters up to date, when you join them part way through your current accounts year. Don’t wait until after your year has ended and the new one begun! Often the introductory offer of reduced catch up fees will not apply after the year end, or when you wait until later on in the year. This can be a really good incentive to switching at a certain time and avoiding duplicated charges. There are plenty of New Companies can be formed in a matter of hours, but setting up a new company bank account can take up to two weeks. It also takes two weeks to get the VAT flat rate scheme application through and the payroll scheme set up! Note: Many agencies will not pay your money into a private bank account, so don’t delay in setting up a company account. Most good advisers have at least one arrangement with a larger bank, to assist in speedy opening of new accounts. So find an adviser with the experience to be able to steer you away from risk and one that knows the issues that those new to contracting are faced with. In that way, you’ll be able to make the right decisions from the start. Contractor Accountants out there who will try to charge you (some up to £500!) to bring your existing accounts up to date when you switch accountants, even though you are still in the first 8 months of the current accounts year, so don’t get caught out! Endorsements – what do they say? Make sure that the online contractor accounting provider you’re considering, is regulated by one of the main professional bodies, such as The Institute of Chartered Accountants (ICAEW). Their website should tell you who they’re registered with. These bodies hold their members to account in the event of bad practice, and so you’ll be afforded some protection if things go wrong. It also gives you peace of mind that your accounting advisory firm truly is a specialist in their field. Personal touch – don’t want to be left out on a limb? Many online accounting software providers are just that – online! It’s really only the software you’re paying for. 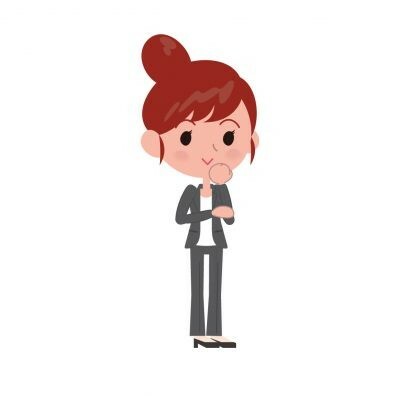 But wouldn’t it be nice to know that you have a dedicated account manager on hand who knows you and can provide advice based on your individual needs? to you. A pure provider of an accounting software solution will be cheaper- but they won’t be your accountant! When you’ve shortlisted two or three Contractor Accountants, pick up the phone and talk to them. You want to know that your personal accountant will be there to provide you with a personal service when you need advice, and that you trust them to provide you with a proactive service, working with you throughout the year and not just at year end. Experience – in the know? Is the Contractor Accountant you’re considering appointing really a specialist in the contracting market? Do they truly know what you want? Can they demonstrate a substantial level of experience in dealing with contractors and freelancers, to reassure you that they really do understand your needs? As with choosing a doctor, you want to know that your accountant truly is the right adviser for you! A specialist Contractor Accountant will understand how you work in practice and they’ll be best placed to advise on, for example, why you should be a limited company, how best to draw income from your company and how to make sure you claim all the expenses you are entitled to. They’ll also be up to date with the latest industry thinking on legislation, such as IR35, and will make sure that you remain fully compliant with HMRC returns and deadlines. IR35 – are you in or out? IR35 legislation, does not mean that all future work will necessarily be treated in the same way. Numerous factors need to be considered in order for each contract to be assessed. 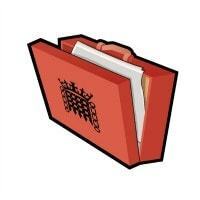 Managed Service Company legislation – know the risks? To explain in brief, Managed Service Companies (MSCs) effectively run your company on your behalf. They then group contractors together and, in that way, they’re able to offer you a ‘managed service’ scheme, thereby side stepping certain tax laws, including IR35. MSCs are not, however currently very popular with Contractors. HMRC does not like them and many consider them too aggressive. Choose an accountant who advises you on what’s safe and what’s not safe. MSC schemes all come with a big health warning. You could risk losing the tax advantages of being a contractor through a limited company so beware! S626 – husband and wife teams beware! Section S626 is also known as the ‘husband and wife tax’. The rules were introduced to stop family members passing money and assets between themselves, on the basis that they would then take it back. But, what happens when a husband and wife setup a business together – both carry out work for the company and they therefore share the income? Moving from Umbrella to Limited – a simple and hassle free process which makes perfect sense for serious contractors! As a serious contractor, now is the time to look at how you operate and how you provide your professional skills. Make sure you choose the best and most rewarding model that matches your medium and long term objectives, and maximise your take home pay! Location – how important is it? These days, there is little that can’t be done via the phone, internet or post. Whilst it’s often reassuring to know that you can meet with your accountant face to face if required, most contractors tend not to do this. The main reason for choosing your Contractor Accountant shouldn’t, therefore, be on the basis of locality, although it’s advisable to choose an accountant who’s located in your same country – the UK tax laws are complicated and Corporation Tax is complex. You wouldn’t buy walking boots to win the 100 meters, so you shouldn’t choose an accounting software package which hasn’t been built specifically with contractors and freelancers in mind. Choose an online Contractor Accountant which provides the facility to upload information automatically, requiring only the essential information to be typed up. One that allows you to import your bank transactions at the click of a button, via a file downloaded from your online bank account – requiring you to simply allocate each transaction against a list of pre-defined options. 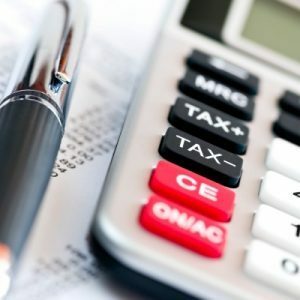 One that enables expenses to be entered and allocated quickly and easily, with a system which recognises the difference between assets and expenses – handy if you’re on the flat rate VAT scheme and are entitled to reclaim some extra VAT from the taxman! And, if you incur the same cost every day – for example a parking fee or road toll – choose an accountant with the software functionality where you need only enter the cost once. You can then use the repeat function as required, saving you the hassle of inputting the same entry time and time again. The same goes for mileage, which is particularly useful if you’re travelling the same journey each day! Choose a mileage system which takes the trouble out of calculating your journeys, by asking you to simply enter the start and end postcode of each trip, automatically generating the number of miles travelled. And a system which allows you to tweak the calculation, so if you go a different route, you can still calculate accurate mileage. a reminder section so that you’re aware of any upcoming deadlines You should also be able to export all of your data into several formats, quickly and simply. Fees – do they add up? At first glance, all accountants seem to offer one monthly headline fee – and some appear to be much cheaper than others. But, as with many things in life, what you see is not always what you get. Look at the detail – how much are they really charging, when you delve into it? What the formation costs are? And there any joining fees? Do they charge a license fee to use the software? Is the tax return included? And, if not, what does it cost? Or what about a second tax return? What about factoring in additional non-contracting income, property letting for example – is this included in the price? Can you use their address as your company’s registered office? Is there an annual filing fee? Or a charge for giving a reference? If you join them part way through the year, do they offer discount catch up fees? What are the fees for company closures or winding up when contracting ceases? Do they offer unlimited telephone and internet advice and support? And is technical systems support included? Costs can add up quickly! Transparency is therefore key; so choose an accountancy provider which offers a monthly fee – one that is truly inclusive of all the regular compliance and advisory services you will require. And one that is clear about any additional costs, for one-off services, such as incorporating your company, guiding you through the startup paperwork and helping you with your VAT registration. At Intouch Accounting, we only deal with contractors and freelancers. We’re therefore not trying to be a one size fits all for any type of business. 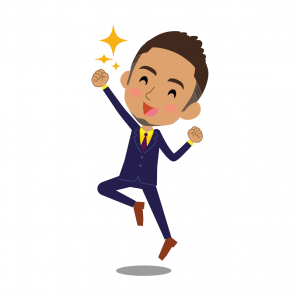 We know what it means to be a contractor, because that’s who we work with all day … people like you … making it possible for them to enjoy the freedom of freelancing and contracting – and helping them to increase their take home pay! At Intouch Accounting, we provide a comprehensive personal online accounting service at a very competitive monthly rate, advising on all accounting and tax issues affecting UK based contractors or freelancers who provide their services using their own limited company. 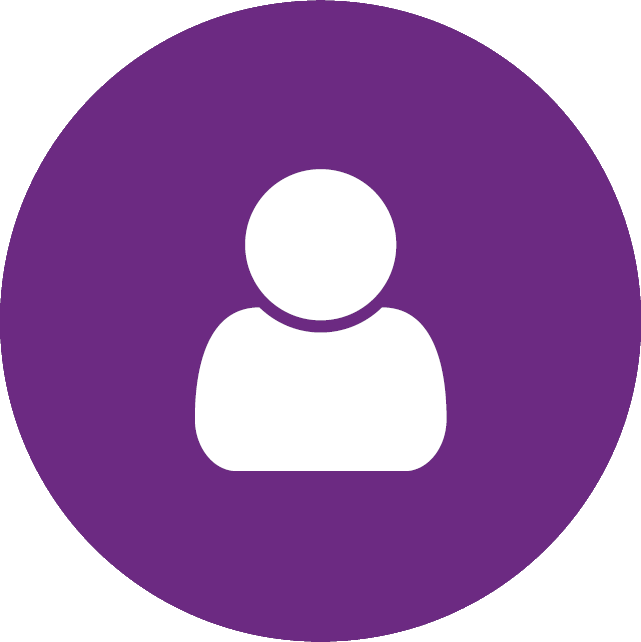 Are ideally placed to assist first time contractors – our dedicated helpdesk is managed by people who spend all their time focussing on supporting new contractors, helping them to get started on the best possible footing. Charge discounted catch up fees if you want to changeaccountants during the tax year. This makes the process straight forward and hassle free. 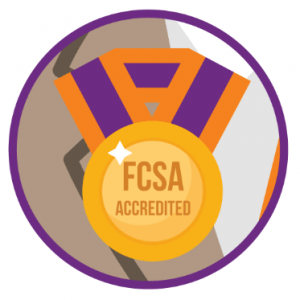 Are regulated by the Institute of Chartered Accountants in England and Wales (ICAEW) and the Freelancer and Contractor Services Association (FCSA), giving you peace of mind and extra reassuranceof the high level quality service we provide to allour clients. Provide you with secure personal access to our secure online accounting technology, built with contractors and freelancers in mind, enabling you to avoid clumsy attachments and the re-keying of data from the bank. Our accounting technology is at the forefront of the contractor accounting profession – putting the information you need at your fingertips, day and night. Offer unlimited expert advice, delivered by a team of specialist Contractor Accountants – providing the right solutions and keeping our clients up to date with legislative changes and the latest industry developments. At every step of the way you’ll receive expert accountancy advice from a specific personal accountant dedicated to your account, combined with our own contractor specific online accountancy software designed to make your life easier. We’ll remind you when you need to send us information. We’ll then process this information on your behalf and, once you’ve confirmed it, send it to the taxman and Companies House on your behalf. And, for all of this, we charge you a monthly fee.